Only Info: The same here - No Video - https://www.alternate.de/be-quiet-/DARK ... ct/1262988? 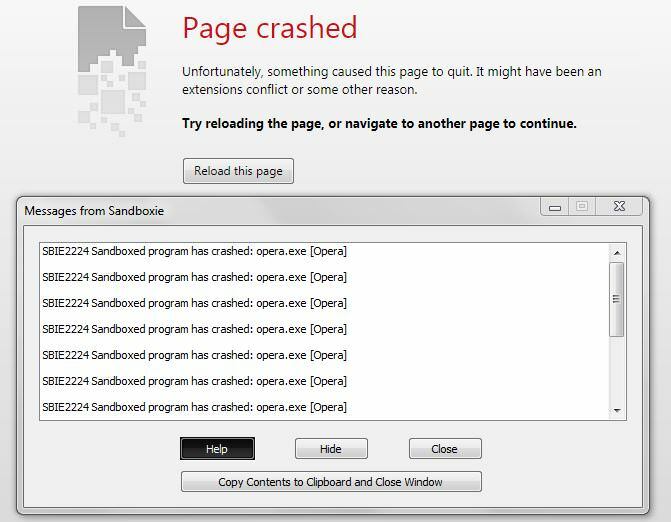 Seems like Sandboxie and MFDemuxer used in Opera browser have compatibility issues. When MFDemuxer is disabled under Opera flags, the same media files will play normally. When MFDemuxer is enabled, the media files will play normally. Starting from Opera 49 Developer, the flag to disable MFDemuxer has been removed and MFDemuxer is enabled by default. Can the Sandboxie developers look into this ? Have you only seen this since Opera 49? I believe this "Opera browser cannot load media" issue is the same as the ones that were started and raised to Sandboxie developers' attention since Opera 45. I had experienced this issue since Opera 45 after Opera developers decided to enable MFDemuxer by default when users complained they could not play some video medias. "MFDemuxer was already enabled by default and we want it to fully replace IPCDemuxer . Do you have any specific example why you would want to turn it off and keeo using IPCDemuxer? Can Sandboxie developers now look into this issue with more urgency ? I had this very issue in Opera 45, reported it in 46 and had it in 47, too. I can confirm that the fix you suggested actually worked for me (currently running Opera 47) and I have not had any problems playing any sort of media afterwards. So I guess you really did find the solution there. Thank you so much for that, nanana1! You are awesome! It really improved my sandboxie experience. I just hope the developers can fix this issue before they release Opera 49 and we can no longer use your work-around. I will post new information whenever it becomes available. Another shoutout to Sandboxie developers as Opera 49 Release Candidate was announced yesterday which means it will likely go final next week. I can confirm that with Opera 49 and Sandboxie, certain videos will no longer play such as: http://www.stuff.co.nz/life-style/food- ... -cat-cafes because the browser setting that enabled them to play under Opera 48 (opera://flags/#media-windows-mf-demuxer) was removed. Are not you ashamed to ignore such a serious problem for so long? Opera browser (and you will not deny that this is one of the most popular browsers?) does not play streaming audio on sites for a long time. One of the most valuable features of Sandboxie is the ability to launch your favorite browser in the sandbox. Buying your program, I thought I could do it. Please, do the work and fix the problem! Still not fixed in Sandboxie 5.24 and Opera 51. This is not a fix, the issue is still under investigation, but no further updates at this time.